Unknown "Reasons offer to the arbitrators why they ought not to allow . . .
Summary of Content: of Jacob Harwoods sham sale of Robt. Livingstons Tallys of 1670." P.1 of the document outlines how Harwood's actions anulled any legitimate sale. 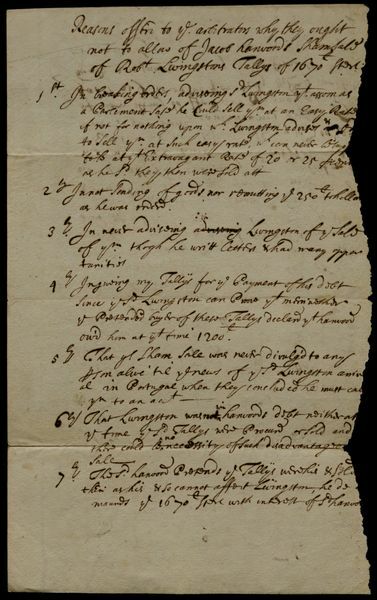 P.2 is an account of how Robert Livingston came into possession of a part of the estate of Coll. Dongan. Docketed on verso.